Art-C: Pop art ....anything to do with Pop culture??? Pop art ....anything to do with Pop culture??? Well, although I had seen quite a bit of this art, I tried to find out whether there is any relation between the two. Surprisingly there is!!! Pop art is a direct derivative of the Popular culture of the '50's & '60's originating in Britian, US & China. As is with most art forms that originate inorder to rebel against the prevailing art forms, it has tried to understand the ordinary & 'kitschy' elements drawn from popular mass culture like advertisements, comic books, movie posters etc & interpreted in such a way as to make people think. It basically was a movement to go against what was generally done & try & incorporate daily themes & icons into art & paintings. 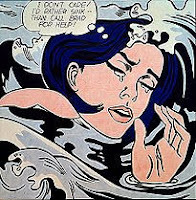 We thus have artists like Roy Lichtenstein using comic strip characters in his painting titled 'Drowning Girl' (1963). This was depicted very lightly albeit in a softer & thought provoking manner. I guess it was also done in a bid to poke fun at anything produced on a mass scale. One of the earliest proponents of this art form was the artist Eduardo Paolozzi, who used collages of everyday elements present in American popular culture & assembled them creating a piece of art. In fact in the latter half of the 20th century, we even had artists like Picasso whose body of work mainly comprised of Pop art. We thus see how this whole movement only goes to show that every visual panorama, whether its inside the 4 walls of our house or outside it: cars, pathyways, TV, adverts etc....everything can actually belong to & be incorporated into the world of art because they make us think & can stimulate & excite our basic emotions. 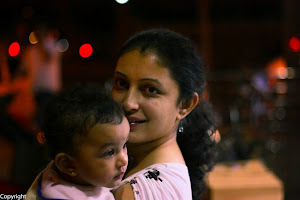 They can be related to, not only visually but also emotionally!! !